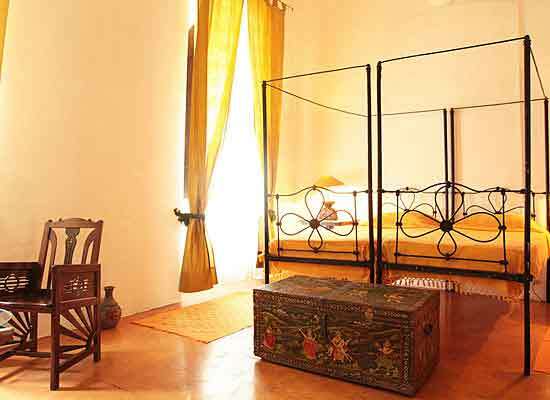 "Heritage Villa Helena is one of the exclusive accommodations available in Pondicherry. 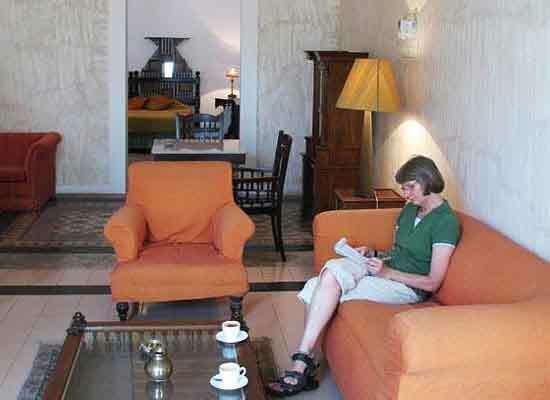 The hotel is praised for its ideal location, right in the center of the ambient old colonial part of Pondicherry. The colonial charm, modern facilities, exceptional services and excellent Indian hospitality are some of the attracting features of this Indian heritage hotel. 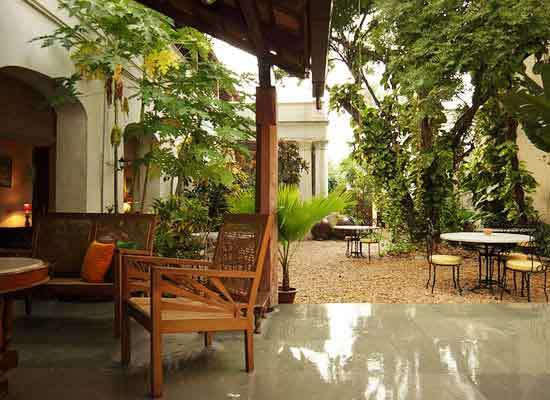 Heritage Villa Helena is a 100 year old property in Pondicherry. Right from the architectural style of the hotel to the interiors, the hotel reflects the charm of the old colonial era. The property was successfully renovated into a luxury hotel and today, it is one of the best accommodation options in the city. 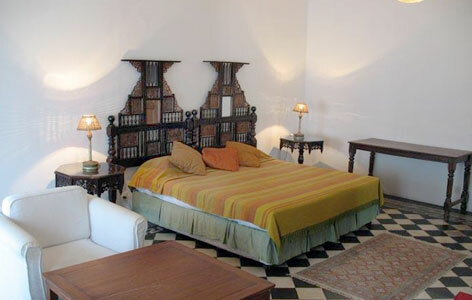 The rooms are adorned with elements that reflect the grace of the bygone colonial era and luxury. Apart from this, the modern facilities and exceptional services blended with the Indian hospitality ensure comfortable and memorable stay in Pondicherry. Heritage Villa Helena Pondicherry provides complimentary breakfast and refreshing beverages to the guests, throughout the day. Aristo - This is an open-air roof garden restaurant nearby. The guests could savor delectable Indian, Asian and Continental delicacies. There are numerous other first-class restaurants situated close to the hotel. These restaurants specialize in offering sumptuous Indian, Continental, Italian, French and other delicacies. Pondicherry, the Union Territory lies in the eastern coast of the Indian Peninsula at a distance of about 162 km from the south of Chennai (Tamil Nadu). The existence of Pondicherry dates backs to the time of Rishi Agastya, who was a revered sage of South India. Pondicherry was earlier recognized as one of the French colonies in India. The Union Territory has till date preserved the same charm of French aura and today is popular as ‘sleepy provincial French town’. The unique heritage is one of the major attributes that makes Pondicherry a worth visiting destination.